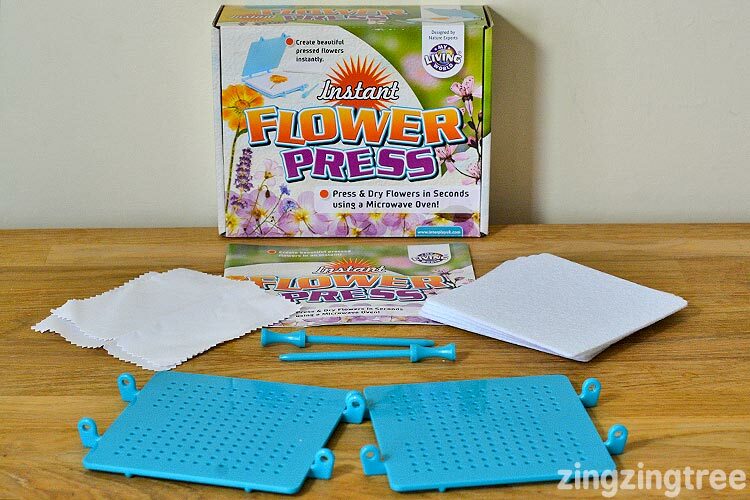 I remember the excitement of pressing flowers as a child … I also remember how long it took! When I was young we would pick our flowers lay them carefully between some blotting paper (oh yes I’m that old), place the blotting paper between some newspaper and put the newspaper inside a book. Finally we would collect as many of the heavy encyclopedia style books we had and stack them on top of the book that contained our precious flowers and wait … for quite a few weeks. I can’t imagine my girls having that kind of patience. The world they live in delivers everything so quickly and thanks to modern day technology that waiting is over. 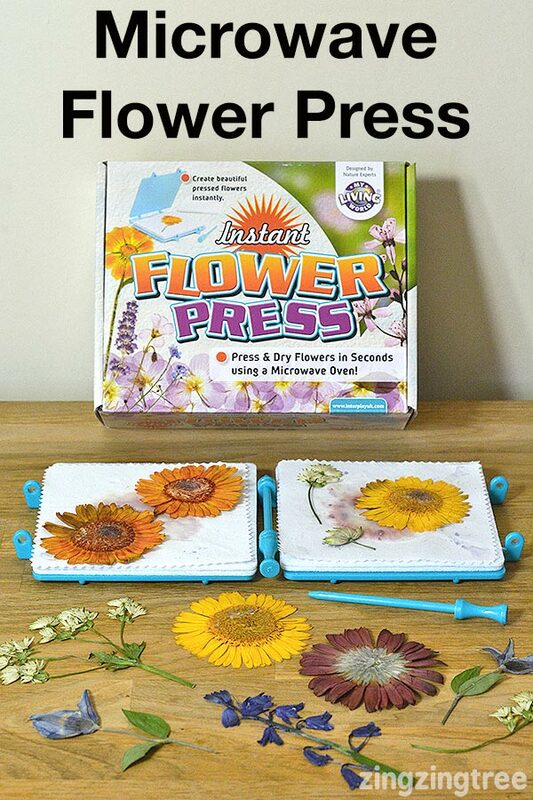 This instant flower press by ‘My Living World’ allows you to dry flowers in a matter of seconds using your microwave oven and retains a lot of the gorgeous colour. It comes with a plastic press, two thick felt sheets , two cotton sheets and an instruction booklet. 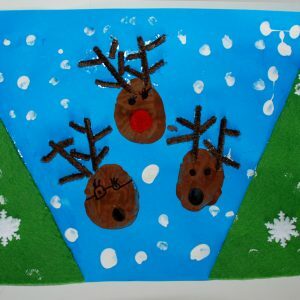 You place two felt sheets and one cotton sheet onto either side of the plastic press. Carefully lay your flower(s) on top of the cotton sheet. Fold over the other side of the press and secure with the plastic pin. You place this in your microwave with a half filled cup of cold water (this is important as it stops the flower from burning) and cook on full power for 20 seconds. Allow to cool and check the results. 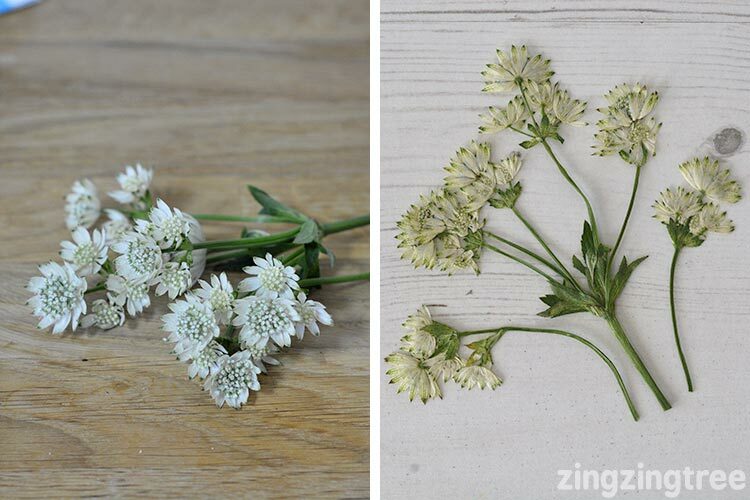 Depending on the type of flower you have you may need to repeat this a few more times … easy! I only had rather thick flowers to start with so was a little nervous as the instruction booklet says that the best flowers to use are those that naturally lie flat or have a single layer of petals. Still a good way to test a product can be to push it’s boundaries and so I tried a Germini first. I lay the flower face down and carefully pushed over the other side of the flower press pushing down on the flower as I did. If you look at the photo you can see bend in the press. After the first 2o second hurts in the microwave the press dropped and became flat … yay! You need to let everything cool down and dry out between heating and there will be colour bleed from your flowers on to the cotton sheet. Although the flower had dropped it was still quite moist so a put it in another couple of times. The centre was the hardest to completely dry out because it’s so dense and I burnt the edges of the petals slightly but I was so impressed with the out come. I did need to give them a final drying out over the radiator but that was just because the centre of the flower was so thick and putting it back in the microwave would have burnt the ends. I kept the flowers in the press and layered them between paper for the radiator dry out to stop the flowers curling. I did find some smaller less dense flowers and they worked perfectly. You do need to let the flowers sit for a while when they first come out as some of the moisture gets trapped in the centre of the press and needs to be allowed to evaporate. 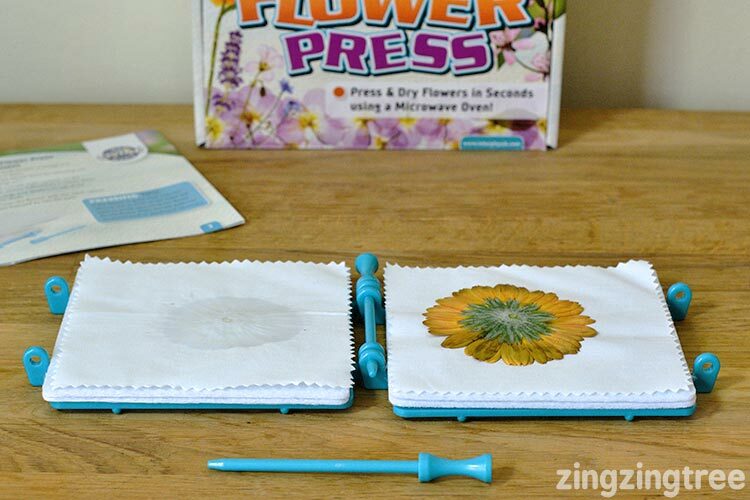 The flowers can also be a little hot so make sure you allow them to cool before handling (I found that I could tell whether the flower would need to be ‘re-cooked’ by feeling how damp the small holes in the press were when I took the press out of the microwave). As with all things there are no hard and fast rules and you need to experiment a little to find out what works best for each flower. I found that turning the felt sheets over in-between microwave oven sessions (a bit like a bed mattress) helped the flattening of large flowers as the flower made an indent in the felt. I also started playing with the power setting (low, medium, high) for larger flowers. 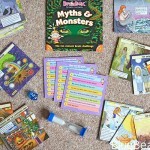 The main thing is that it’s so much quicker and kids can get to pick, press and make in the same day! 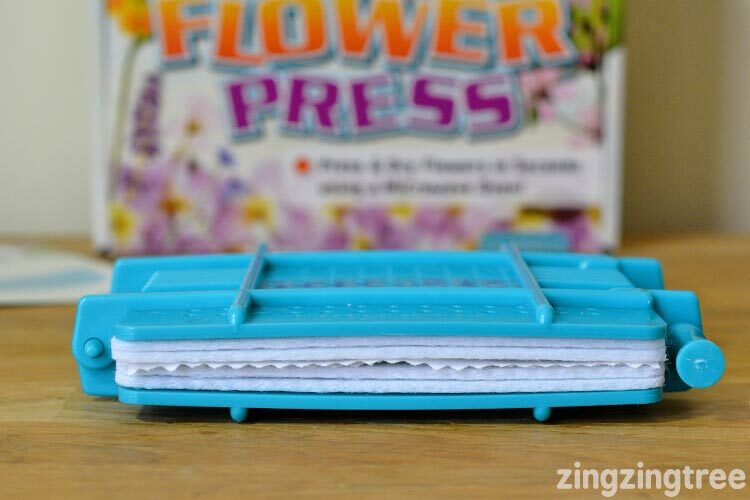 Flower Pressing is all about getting the moisture out and this nifty little press definitely speeds up the process. 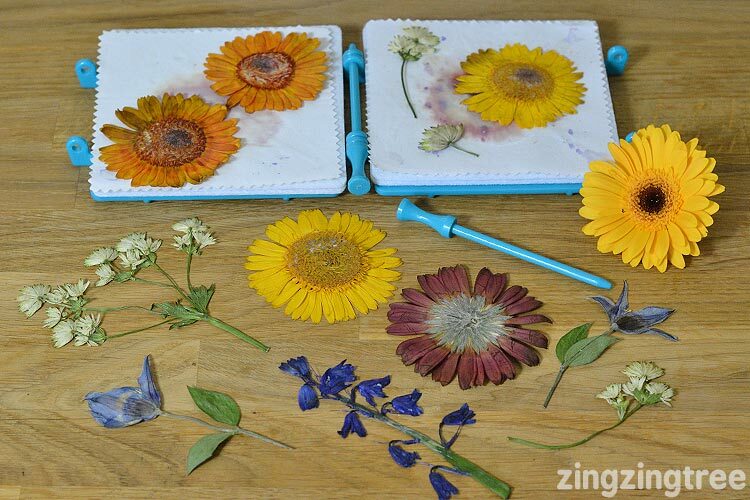 I used to love pressing flowers when I was a kid, it’s amazing how everything is so quick these days! Ooh I love this. 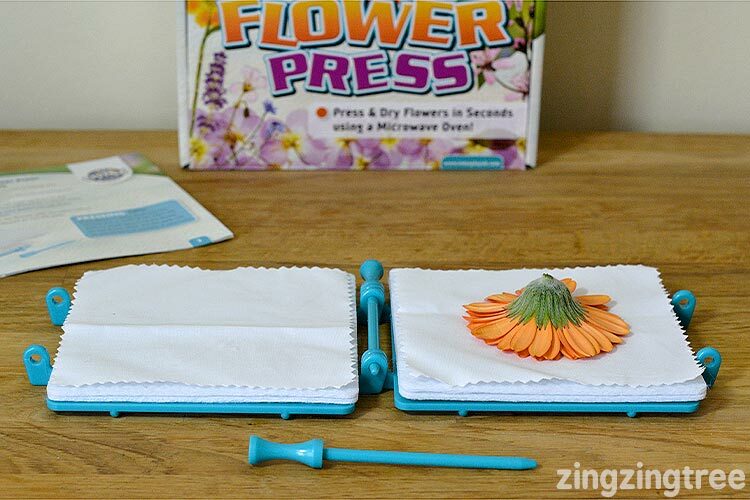 I used to really enjoy pressing flowers when I was little, I think my daughter would love this! This is great for impatient people! I remember finding lots of pressed flowers in books when I was a kid. I had put them there the year before! Oh wow that is fab, I used to hate waiting for my flowers to dry in my flower press (even thought now I know thats really the joy) but for children who can’t wait to see the result of if you wanted to use it for pictures etc then this is such a wonderful idea. 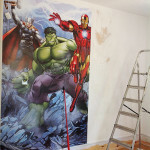 I so wish i had this when i was a kid. Love it! Oh that looks fabulous, I need to get a microwave though!! 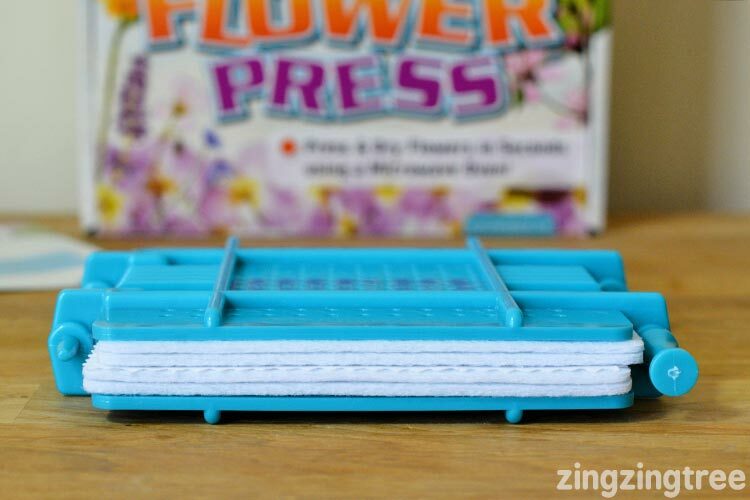 I loved doing flower presses as a child but hated that they took so long – this looks like so much fun! The idea is really nice and quick! So where can I get one of these flower presses?? ?